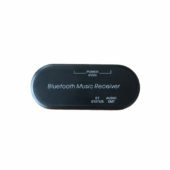 Bluetooth connectivity: Stream your audio entertainment instantly from any Bluetooth portable device. 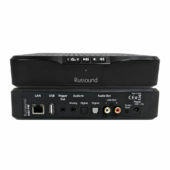 Better sound without wires: Listen to movies, music and games through your good speakers from your smartphone. 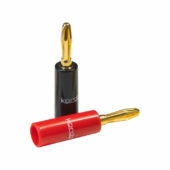 Keeps your mobile devices mobile. 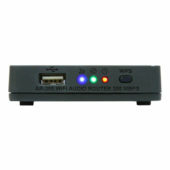 Earthquake Sound is proud to introduce its first Wi-Fi high quality audio module AR-300. With a data rate of up to 300Mbps, the AR-300 is the fastest streaming 2.4GHz Wi-Fi router module on the market! 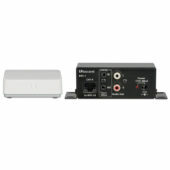 The BSK-1 Bluetooth® Source Kit enables a portable media player, smartphone, or other device equipped with Bluetooth wireless technology to transmit audio content to any multiroom audio system. 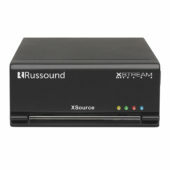 The MBX-PRE Streaming Audio Player is designed to offer a simple-to-install and simple-to-configure streaming media solution to add high quality streaming audio content to any audio system. 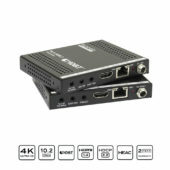 The MBX-PRE can be used as a single stereo audio streaming source for a single room, or supply a single audio stream to a larger whole-house system through its easy-to-use analog line-level/digital (coax/optical) outputs.